google adsense account kese banaye . what is copyright in hindi? YouTube Partner Program overview in hindi. 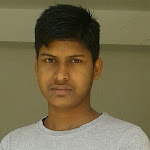 hii friends i am amit tiwari and welcome to my blog . i am founder of social updates .here you can read blogs related to blogging, seo, adsense and social media . so you can also subscribe to this blog to know important informations . and dont forget to like our facebook page , follow us on instagram and twitter . thank you .